Insiders close to Microsoft announced on Wednesday that the company is nowhere near ready to place a bid for Yahoo! Inc. According to those same insiders Microsoft officials are planning to examine Yahoo’s financial information when it circulates later this week, while they also insist that the top executives at Microsoft are not the people who will examine the deal while Yahoo! doesn’t consider the tech company to be a serious buyer. With news of a potential takeover Yahoo shares jumped 10 percent on Wednesday as Microsoft bid rumors circulated. Yahoo has been receiving various inquiries into a buyout since firing CEO Carol Bartz in September. Yahoo shares jumped $1.46 to $15.92 at 4 p.m. on the Nasdaq, the company’s largest gain since October 2008. 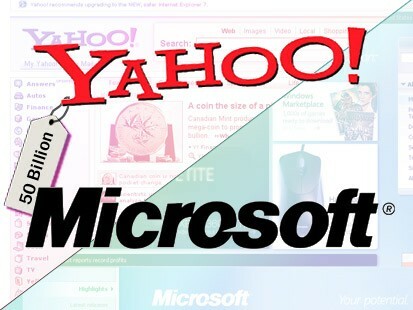 In 2008 Yahoo turned down a $47.5 billion buyout option from Microsoft, later the two company’s signed a 10 year search agreement which allowed Yahoo to power Microsoft’s search engine. Both company’s are declining to comment at this time.